Shaggy means ‘covered with long rough hair,’ and it’s mainly used to talk about animals. Hair itself can be shaggy, and that means it forms a bushy, coarse, and sometimes tangled mass. If a textile is shaggy, that means it has a rough nap or texture. A big shaggy dog bounded across the park. The politician had shaggy eyebrows. The floor was covered with a shaggy carpet. A shaggy dog story is a very long anecdote, normally with lots of digressions and irrelevant details, that is amusing because it is pointless. 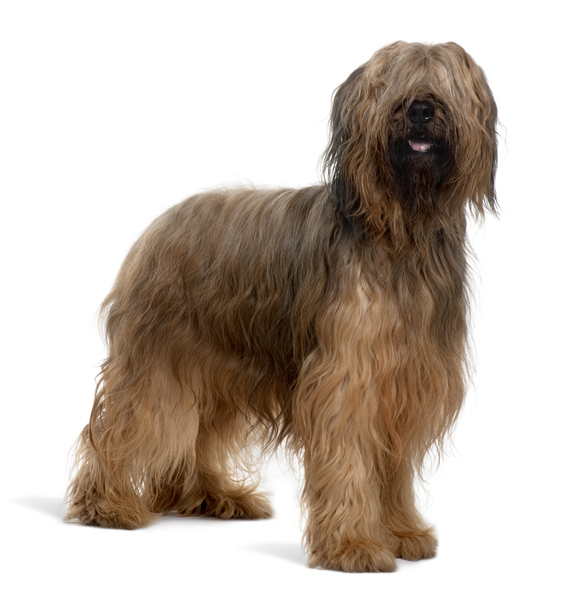 Shaggy, meaning ‘rough, coarse or unkempt,’ dates back to the late 16th century. The adjective is formed from the noun shag and the suffix –y, and replaced an earlier adjective, shagged, which meant ‘hairy.’ The noun shag, around the time shaggy appeared, meant ‘cloth with nap on one side,’ but the word was much older. The Old English noun sceaga meant ‘rough, matted hair or wool.’ The noun seems to be missing from Middle English (or all records of it have been lost), but it is theorized to have been schagge. Shag dates back to around the year 900, and can be traced back to the Proto-Germanic skaggija (beard or stem) and the Proto-Indo-European root (s)kek– or (s)keg– (to move, hurry or jump). Shaggy is related to the Old Norse skeggjaðr and the Danish skægget (bearded), as well as the Old Norse skegg, Danish skæg, Norwegian skjegg and Swedish skägg (beard). The expression shaggy dog story first appeared in the 1940s.